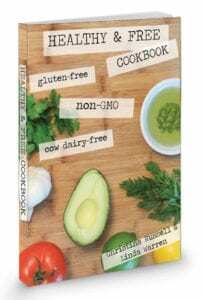 This post was created as part of a recipe challenge for Golden Girl Granola. I received the granola of my choice to create an entree featuring one of their delicious flavors of homemade granola. I loved Golden Girl Granola and their story as soon as I read about it. 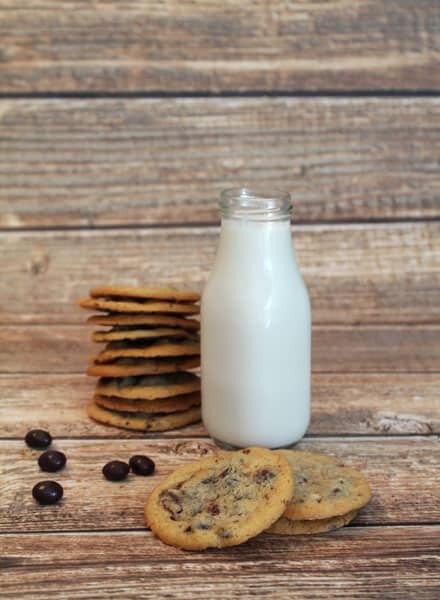 This New England-based company uses only the finest all natural ingredients, is locally produced, is wheat free, non-GMO and, on top of all that, gluten-free too! Their granola makes a delicious and healthy addition to breakfast, as a snack right out of the bag and, as you will see below, dinner too! Check out more about them here. So when Golden Girl Granola laid down the Golden Girl Granola Recipe challenge to create an entree using their delicious granola, I had to give it a try. 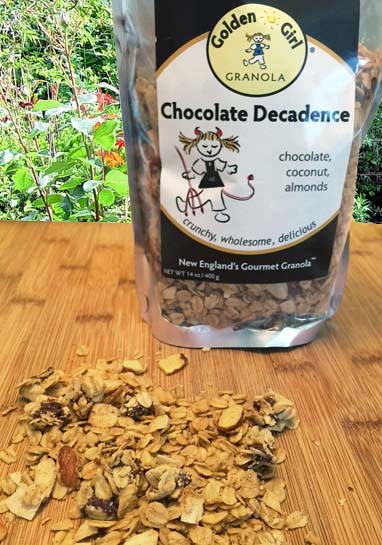 Now, I have to admit, that at first I didn’t see that it had to be an entree so I opted to try making something with their Chocolate Decadence Granola. What a surprise when I learned it had to be an entree! Now I had to really get creative! 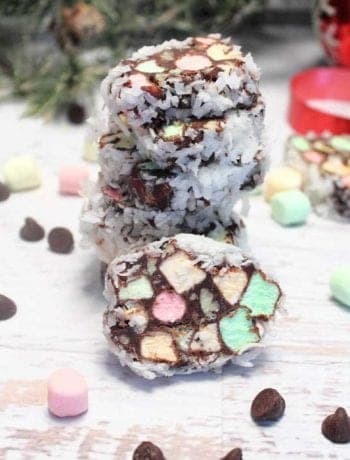 What do you make for dinner that has chocolate in it? And, for all us chocolate lovers, what could be better than a dinner with chocolate in it! Not such a sad dilemma after all! So, my first thought was to find what other flavors chocolate was compatible with to use in my entree. 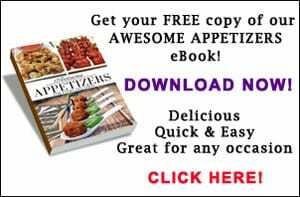 I found that deep, rich chocolate works well with spicy, smoky spices like cayenne, chipotle and chili powder as well as flavorful ones like cinnamon. 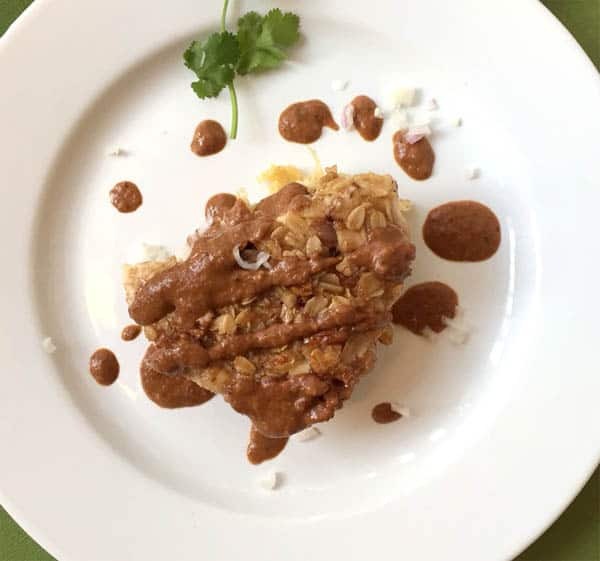 I have made several Mexican dishes involving chicken and mole sauce, which incorporates chocolate as an ingredient, so I thought I would stick with something along the same lines. Chicken mole it is! My next question was how to add in my delicious granola to show off its wonderful flavor and crunchiness. I know, I’ll coat my chicken with it, in lieu of breadcrumbs, and pan fry until I have a beautiful brown crunchy coating. Now it wouldn’t be enough to just cover chicken with a delicious sauce, I had to add a few carbs to the mix with an equally as crisp and cheesy polenta cake. 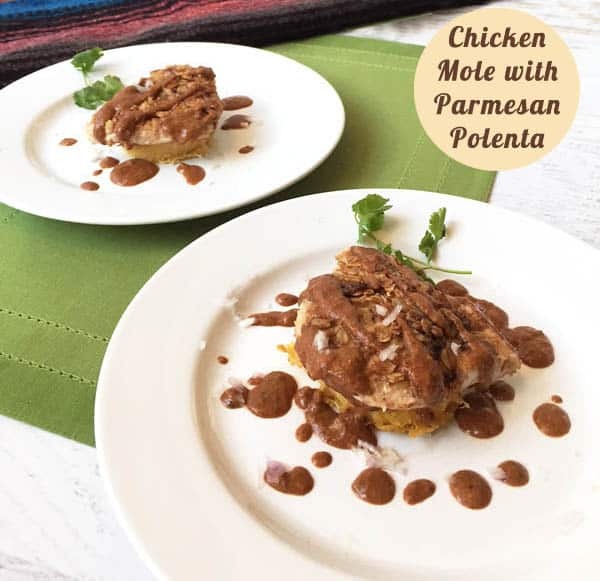 When I finished preparing the dish, I piled the chicken on the polenta and watched as the dark, fragrant sauce slowly covered the chicken and started to soak into the polenta. Just writing this is making me drool and wish I had some leftovers in the refrigerator to heat up right now! Alas, it was gone almost as soon as I plated it. Yummm! 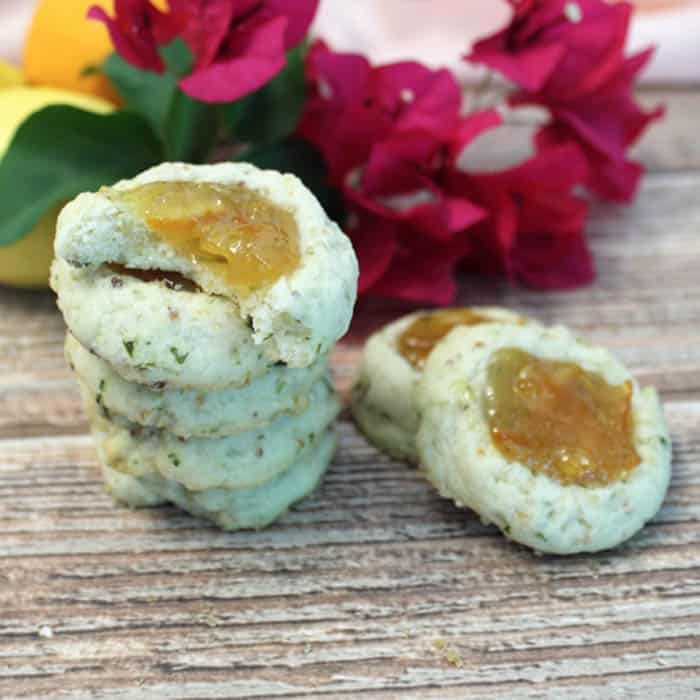 Hope you enjoy the recipe as much as I did making it. In a large skillet, heat 2 tablespoons olive oil with onion and chopped tomato. Cook over medium-high heat until onions have started to soften. Drain & reserve drippings then return vegetables to skillet. Add garlic, chipotle peppers, almonds and tortilla strips. Cook stirring constantly until onions, tomatoes and tortilla strips are brown. Add salt, pepper, cinnamon, cloves, 1 tablespoon cilantro and raisins to pan as well as reserved drippings. Stir until heated through. 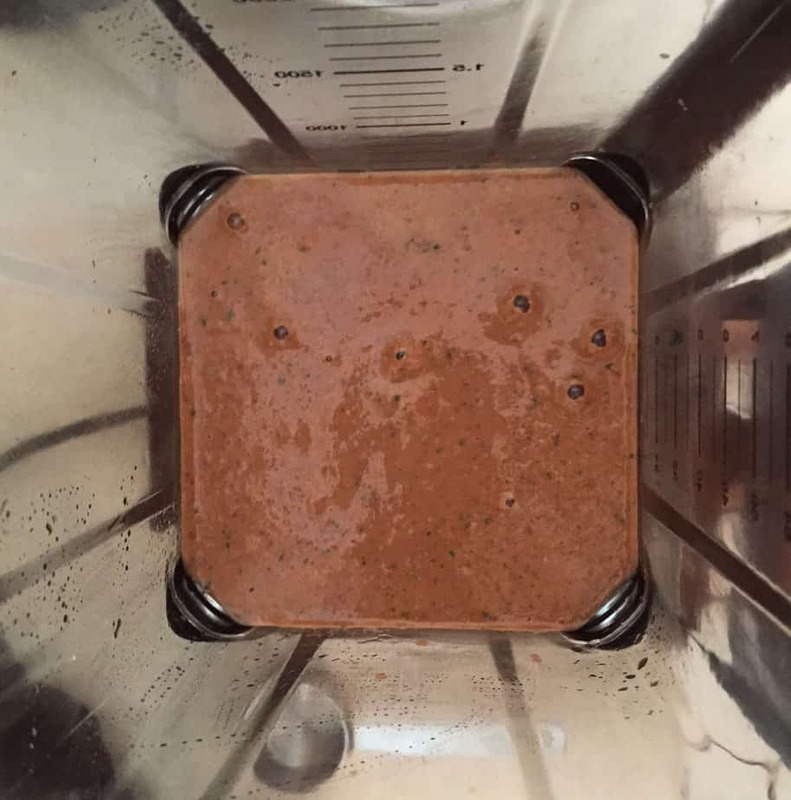 Remove from heat and pour into blender or food processor. Add remaining 2 tablespoons cilantro, melted chocolate and chicken broth. Process until smooth. 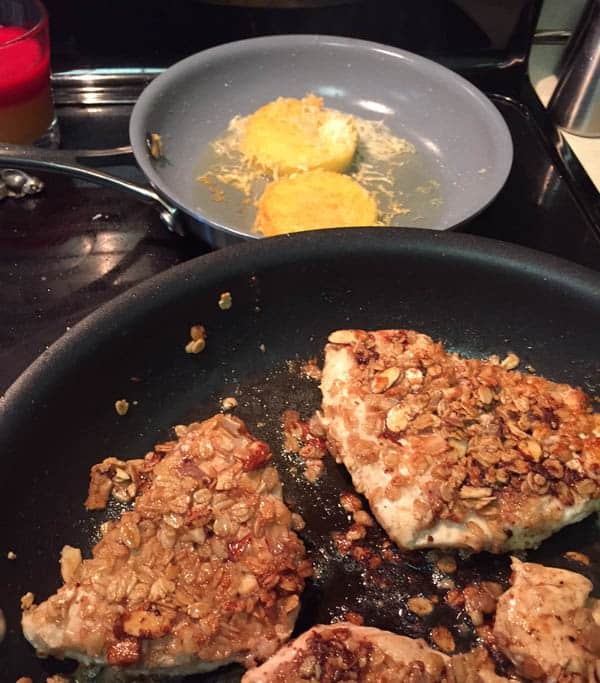 Pound chicken breasts until about 3/16″-1/2″ thick. Season with salt and fresh ground pepper. 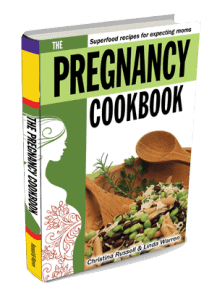 In a small bowl, whisk egg with 1 tablespoon water. Pour Golden Girl Chocolate Decadence Granola on a large flat plate. 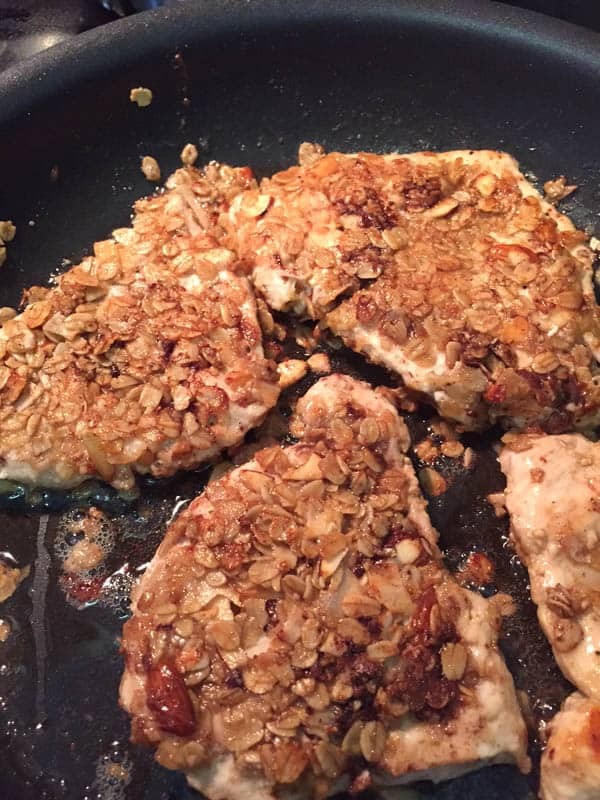 Make sure to crumble any large bits so it will adhere better to chicken breasts. 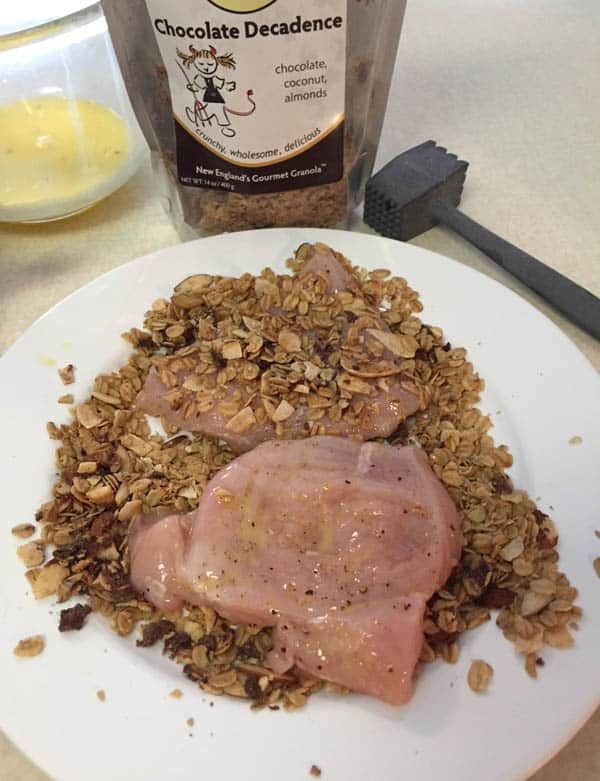 Dip each piece of chicken into egg mixture then place on plate with granola and pat into both sides. Place immediately into hot oil and brown each side making sure that chicken cooks through thoroughly, about 3-5 minutes per side depending on thickness. Doesn’t that look yummy just the way it is?! Heat oil in medium-size skillet over medium-high heat. 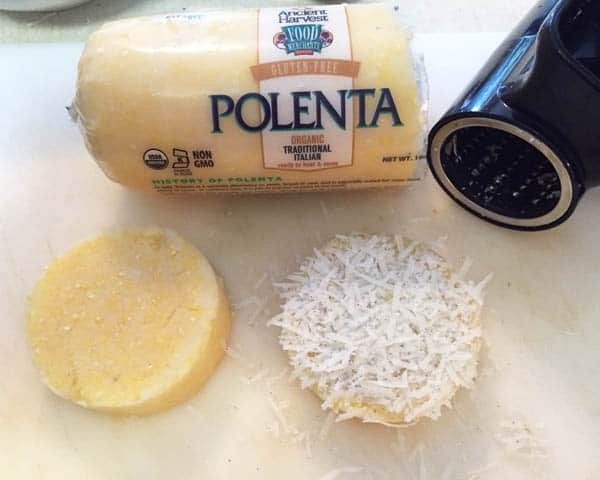 Cut 4 slices of polenta from roll. Mix grated cheese with thyme on a large flat plate then lay polenta cake in cheese mixture and pat to help adhere to outside. Turn over and repeat with other side. Put immediately into hot oil and cook 2-3 minutes per side or until crisp. Place polenta cake in center of serving plate. Lay one chicken breast on each cake. 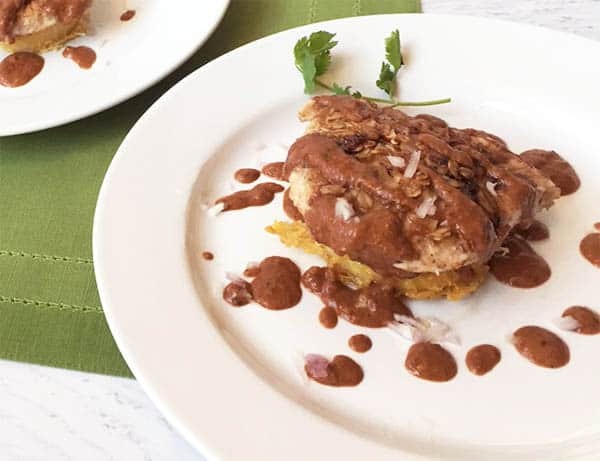 Drizzle mole sauce over chicken and garnish with a little fresh cilantro and a few chopped scallions. I’m sure you would love it! The sauce has a spicy and slightly sweet flavor that brings plain ole chicken up a notch!